Today I am teaming up with Maggy London and we are going to give one of you a dress for Mothers Day! Continue to read for more info and to find out how you can enter the giveaway. #GIVEAWAYALERT Here’s to the ladies who are on the clock 24/7 doing the most important job in the world! I’m teaming up with​ ​@MaggyLondon​ to celebrate #MothersDay and give one of our fabulous followers my favorite pick for Spring! 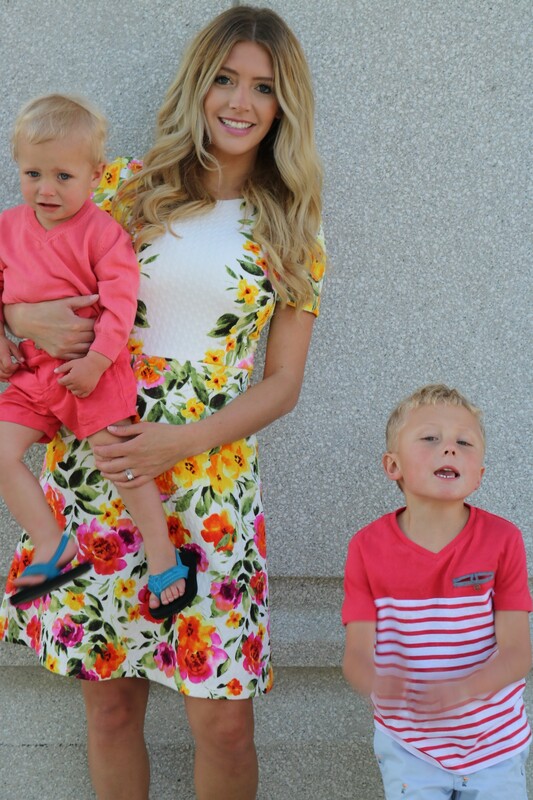 Here’s the Adeline A-line dress aka the perfect Mother’s Day look. Winner will be announced 5/12/17 (+contacted via DM) so stay tuned! Good Luck! 4. Winner will receive this one dress portrayed in the picture above – if the dress is not available in your size once the winner is announced you will be able to choose a dress from the current MAGGY LONDON collection, of equal or lesser value, available in your size. *Competition starts on 5/10/17 at 10:00am MST and ends 5/11/17 at 11:59pmEST. Giveaway ships to U.S. only! Winner will be announced in a comment on this picture on all accounts, so please make sure to check. If winner does not respond in the first 24 hours, we will do another random selection and a new winner will be announced in a comment on this picture on all accounts immediately following. We will verify everyone who entered followed the steps correctly!